In London Calling by Veronica Forand, when a mission goes belly-up and costs Liam Macknight his partner, he’s determined to do whatever it takes to find the truth, even it if means kidnapping Emma Ross to discover everything she knows. However, Emma doesn’t make things easy for him. In fact, she’s the most stubborn woman he’s come by in a long time. Yet, the more time Liam spends with Emma, the more he finds himself trusting her. But when he’s tasked to kill her father to make certain the secrets of MI6 remain secret, will he do what’s right and lose any chance he has of winning Emma’s heart or will he go against everything he believes in to protect the woman he’s falling in love with? This is the first book I’ve read by Ms. Forand and what a marvellous, fast-paced, action-packed story it is filled with edge-of-your seat suspense, a wonderful enemy to lovers romance and which began with a fantastic and explosive opening scene that drew me in right from the beginning. However, it was from the moment the hero and heroine came face-to-face for the first time where this story really takes off, as the pair have absolutely every reason not to trust each other, which leads to Emma challenging Liam and doing everything she can to uncover what has happened to her father. Will she be able to find a way to escape? As for the dialogue, it kept me entertained from start to finish because of the escalating suspense, the animated action, the delightful romance and the sometimes playful banter that creates fantastic chemistry between the pair, as Emma challenges the heroine’s authority. He’s not the boss of her, even though he believes kidnapping her is all about keeping her safe and out of the hands of the bad guys. 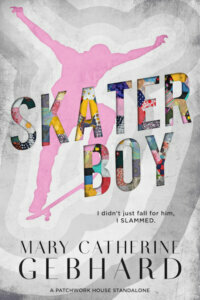 Will the heroine be able to put her trust in Liam? Will she be able to get to the bottom of what happened to her father? Moreover, the main characters are fantastic and I enjoyed the challenges they faced to be together such as whether the pair could trust each other and whether Liam would be able to keep Emma safe. With the heroine, she’s strong, brave, independent, determined to find what happened to her father and I liked how much of a challenge she provided the hero. I also liked the close relationship she has with her father and I couldn’t help but sympathize with everything she goes through when it comes to Liam and her dad and learning everything she does. She and her dad are pretty tight and share a lot, so to be deceived liked she’s been – for years — is quite a blow. Will she be able to deal with everything that happens on the way to happy ever after with Liam? 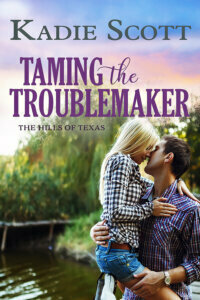 Will she blame him for things that go wrong? While the hero, he’s arrogant, determined in his pursuit of finding what happened on their botched mission and I liked how determined he was to win the heroine over. Really, he’s just as stubborn as her and I could understand why he needs her co-operation because of what happened during the mission that went awry. Overall, Ms. Forand has delivered a wild and explosive ride in this book where the ending had me worried for the heroine because of her plans, but left me completely thrilled that these two achieve their happy ever after because Liam needs Emma in his life. Since he never realized how lonely his life was until she came into it. However, it was the epilogue that wrapped this story up nicely, as Emma begins her new career. 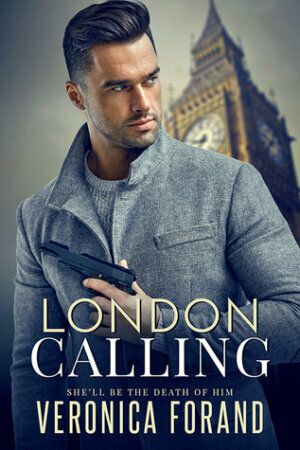 I would recommend London Calling by Veronica Forand, if you’re a fan of the Mission Impossible movies; or enjoy romantic suspense or books by authors Katie Ruggle, Cindy Skaggs, Danielle Haas and Laura Griffin.